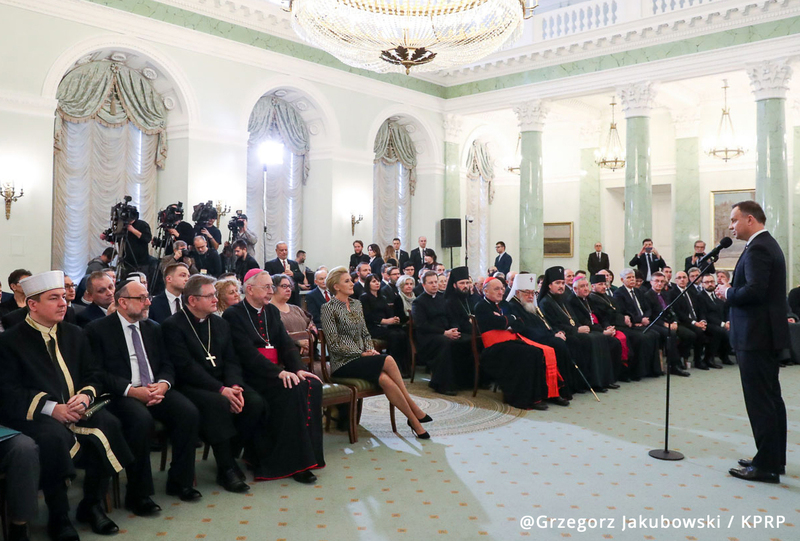 “Despite differences in faith and ethnicity, we create a national community of people on Polish soil,” Poland’s president, Andrzej Duda, emphasized during a meeting with representatives of all major churches, religious associations, and ethnic and national minorities present in Poland. 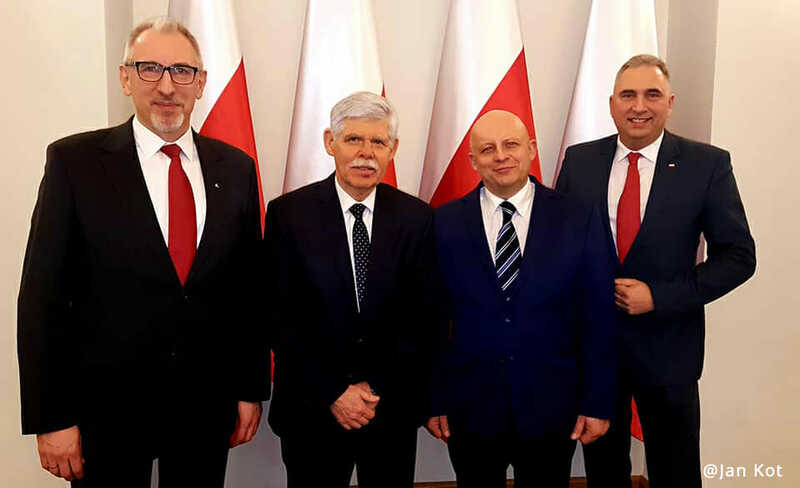 Four leaders of the Seventh-day Adventist Church in Poland were among the invitees who met at the Presidential Palace on Friday, January 18, 2019. According to Andrzej Siciński, Public Affairs and Religious Liberty director for the Adventist Church in Poland, it is something that shows recognition at the highest state level for religious pluralism within the country. “From the perspective of a religious minority this is extremely valuable,” he said. While the Adventist representatives did not have the opportunity to speak in the public forum, the event did give them a chance to share Adventist values during the more informal discussions surrounding the meeting. This annual event has given Siciński the opportunity to meet with four Polish presidents over the years and to take note of how perceptions have changed. Those perceptions are valuable for Duda. “I am very happy because our meeting is an important element for the Polish community,” he said, noting that it was a “beautiful show” of how the citizens of the country can live harmoniously together. Jankowski also appreciated the emphasis that in Poland, according to Duda, there is full openness to Christian values. According to the private data company IndexMundi, 87.2 percent of Poland’s population regard themselves as Catholic, while only 0.4 percent are Protestant, mainly Evangelical or Pentecostal. The country’s 5,796 Adventists are included in that 0.4 percent. * Despite being such a small group in a country with 38.5 million residents, Seventh-day Adventists are recognized for the positive impact they make on society. Part of this year’s witness was the opportunity to share a copy of Ellen G. White’s book The Desire of Ages with the President and his wife during a short conversation. The Adventist delegation also presented them with a CD compilation of 100 Adventist programs, a reference to the recent 100th-anniversary celebrations of Polish independence. Adventist leaders said that occasionally, some people are critical of church leaders meeting with politicians. Marek Chełmiński, who serves in the Polish Union’s West Polish Conference, responded to such criticism. “Adventists have two homelands — the most important and eternal — our heavenly home, as well as the temporary, present community of people in which we live. Not attending such meetings leads to a kind of self-alienation and misses opportunities for positive dialogue.” He notes that the Bible includes many instances of such dialogues. * Membership statistics as of December 2017.